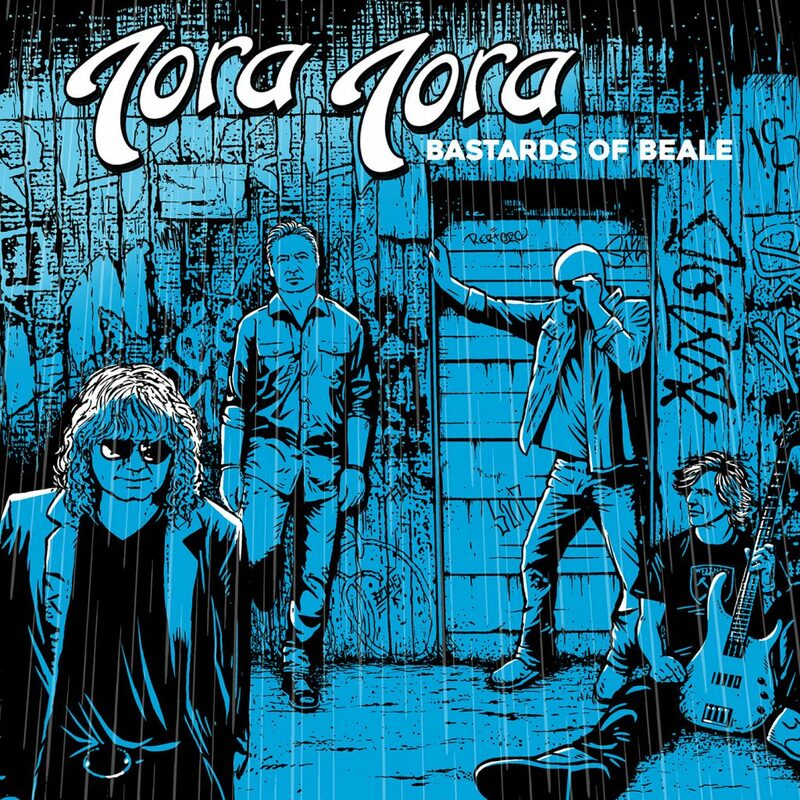 On February 22nd, hard rock legends Tora Tora will release Bastards Of Beale, their first studio album of all new songs in approximately 25 years. Their last release was Revolution Day in 2011, but that album was made up of recordings for what would’ve been their third album circa 1994. A record that went unreleased because of A&R changes at A&M Records at the time it was being made. And the changing musical climate with the grunge thing happening. That’s just one of the many things that the band’s frontman and acoustic guitar player, Anthony Corder, and I discuss in the following interview. Other topics include hanging out on Beale Street in Memphis, the Nashville scene, songwriting, the recurring themes on the new album, and his adoration for the band’s dedicated fans. You’ll want to read this one when you have half an hour to kill because it’s mighty in-depth. MM: So, Google says your area code, 615, is Nashville. Have you moved there or are you still in Memphis? AC: I actually moved here about 13 years ago. AC: I did. I actually went into the business side of the music industry when I took a break from the band. I came up here and went to work for the RCA and Sony label groups and I worked in music publishing and I’m an entertainment business professor now. I teach kids that are coming into the music industry. It’s pretty cool. It’s fun. Especially having things like this that are going on with our band; I can bring in real life application kind of stuff and show them and talk to them. It’s really exciting. We were really lucky – we had some great mentors when we were little like these guys’ age, right out of high school and going into college. They took us under their wings and took us in a room and drew a little circle on the wall and said, “This is you and this is everybody else who’s going to be digging in your pocket.” We had one in particular, John Fry, that ran Ardent Studios in Memphis. They were the studio that signed us to a production deal, but they ended up getting us signed to A&M. So, I met him when I was 16 or 17 and every decision I’ve made in my life about the music industry I have always gone to him. He passed away about four years ago, but he was a father figure to my band. He helped me a lot. 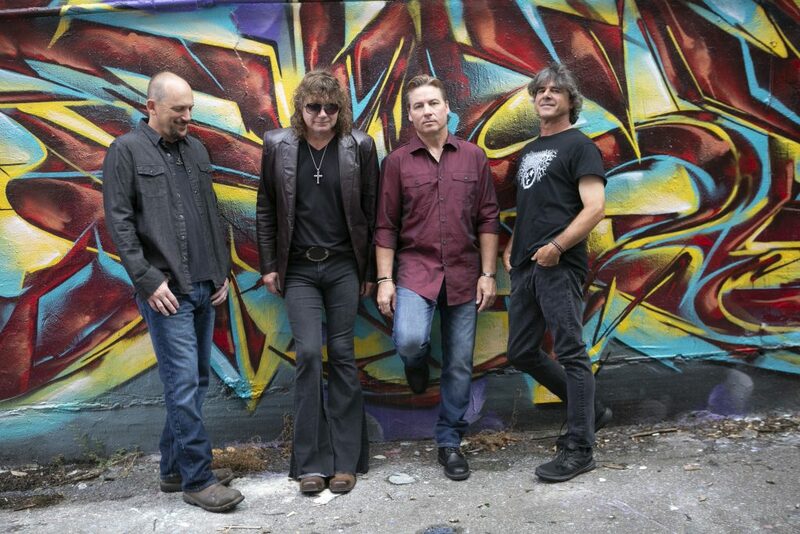 When I came off the road from the Tora stuff, I did some solo stuff and acoustic things for a while after the A&M deal and when I met my wife I wanted to get grounded and – I don’t know what you would call it – I guess I got domesticated or something. Anyway, he wrote some letters of recommendation for me to go to college. I had left high school my senior year and took off on the road and all these years later he wrote some life experience letters of recommendation for me to go in. AC: I ended up going back and getting my masters degree in the entertainment industry. It was amazing. 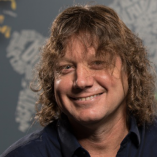 From our era, he started Ardent Studios in his grandmother’s summer room when he was a high school student. And it’s in its 52nd or 53rd year of business. He had everybody from Led Zeppelin – who mixed there – to the Allman Brothers to Stevie Ray Vaughn. People came to Ardent for a specific sound. For the actual vibe of Memphis or whatever. He was always focused on technology, having the newest equipment. He was about educating yourself and helping people do things they were passionate about. A lot of his friends were musicians and if the business part of it was taken care of he’d just give them the keys to go in the room at night to practice there throughout the recording and stuff. He was just a really sweet guy. He changed my whole life, man. We were just a little garage band in Memphis and we bumped into him and he took us into a state of the art facility, and did demos on us, and the next thing [we knew], we were signed to a record deal and touring. MM: How many years was Tora Tora broken up or on hiatus before you got together to make the new album? AC: Well, around ’94, mid-’90s, we took a break. And, to me, I thought it meant we were gonna stop for like a month. But it ended up taking us quite a few years to get back together. I think it was just processing the stuff that happened. When we were signed, we were really little. Man, I wasn’t even old enough to be in bars when we were touring. I think the first time we played together [again] was around 2001. So, it was five or six years. And then we really ramped up around 2008 for the 20th anniversary of the first record. We always maintained friendships and were really close. We went through so many experiences together, growing up. We kind of did college on wheels. We went from being a garage band to putting out MTV videos and opening up arenas and all that stuff. It was amazing. We always stayed very close. I mean, I guess we’ve been going for about 10 years doing one-offs and fly dates and stuff like that. I think it was just a timing issue. Frontiers just came to us. We feel like the planets were just aligned when they came along and asked us if we wanted to do a new project. We just jumped all over it and said, man, absolutely. I’m just speaking for me personally, but I had always hoped we’d go back in and do some new stuff together. Just to see what it felt like. MM: So, Frontiers reached out to you? AC: Yeah, they did. About two years ago we went on the Monsters of Rock Cruise and that really opened up a lot of opportunities for us with promoters and shows and doing interviews and all of those kind of things. We got back on people’s radar. We owe them a hat tip for inviting us on there. All the bands on there were bands that we were fans of. And we were friends with some of them and had actually toured with some of them back in the day. It’s just community and culture and everything and it’s all about everybody celebrating rock, man. And that was awesome. And so right after that was when Frontiers reached out to us and said, hey, would you all be interested in doing something? I guess that was the middle of 2017. I actually met the U.S. rep for Frontiers. He had moved from New Jersey down to Nashville. I was texting him and I said, what part of town are you in, I’d love to grab a coffee with you or something. And he was one exit from my house. So, we went and had a cup of coffee and said, man, we’ve gotta do this. This was meant to be. We were supposed to bump into each other. MM: Does that mean they signed you without hearing any new music first? AC: Yes. They did. And we had been wood-shedding and stuff. It’s all new material. We didn’t go backtrack to any of the old guitar riffs or anything that never came out. We said, let’s just do a picture of what we want to do, what we want to say. What we want to play right now. And it was a real sense of freedom. I’ve been joking on these interviews and stuff, but when I walk in and the three of those guys hit a chord I close my eyes and smell stale beer and cigarettes and I think I’m 18. And then I open my mouth and I realize I’m further down the road than that. It’s a lot of fun. And it’s something about the four of us individually on our instruments, coming together, that’s the sound. People always say is it a chemistry thing or is it a musical thing or whatever, but, I mean, it’s us four. We’ve played with different musicians and worked on different recordings and all that, but it’s just not the same unless it’s these four guys. MM: If, say, John wasn’t available, would you have found a new drummer and took the Frontiers deal? Or would you have turned that down if someone didn’t want to do it? AC: I think it wouldn’t have worked if it wasn’t the four of us. I don’t know, man. I just don’t think – even to the audience – it wouldn’t be respectful to them. They’re the only reason we get to do this. We wanted to deliver them the authentic thing, you know? MM: Sure. 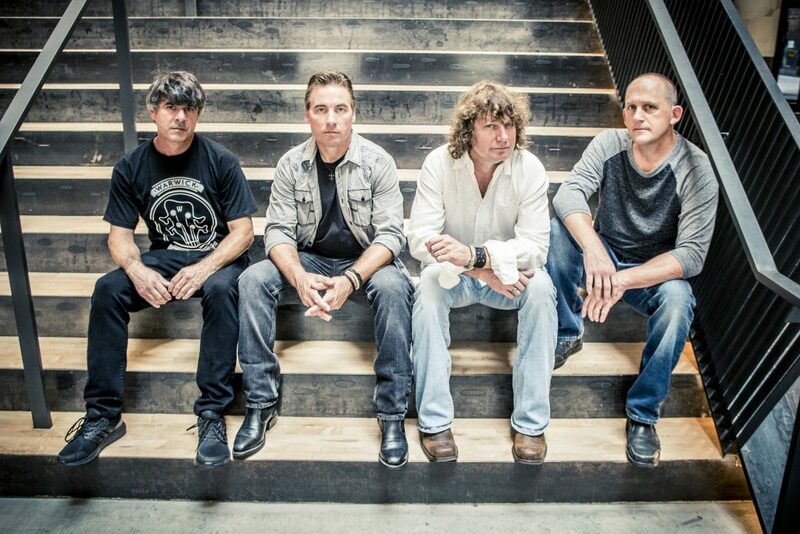 Now, has Frontiers signed you for more than one album? AC: We are actually writing another record and I believe the contract was for two. I’d have to go back and look, but in my mind when we got together and went through our musical ideas we had enough for two records in 2017 and we’ve been writing since then. So, we’re gonna continue writing and I hope that Frontiers is pleased with our content that we delivered. We found out today that we were #1 on new releases. So, we send out a shout to the audience and our friends and our family. We look at the fans as our family members. A lot of them we’ve known for years and we’ve partied with them. To get to do this right now at the stage we are in life, we don’t take it for granted. We know that it’s super special that we get to do it. We feel good. We’re all healthy. Our bass player kind of had a health scare in the end of 2016. He was diagnosed with cancer and that always scares you. Especially, the lifestyle that we were leading. But we’re older now. He’s totally fine, he’s got a clean bill of health. He’s doing great. The first thing he said when he got clearance from his doctor was, I want to go play. He had a new perspective on life and all of us did. We said, man, you know, we want to go do as much as we can. And that was right about the time that the Monsters of Rock gig was kind of landing in our lap. We did a benefit for him in August of 2016 and then Monsters of Rock was like that following February. It was perfect timing and he couldn’t wipe the grin off his face for the five days we were on there. It was awesome. He’d see the fans and all the other bands and stuff and it was just, I don’t know, it’s like we were saying a minute ago. The momentum of everything that was going on, we just got caught in it. The number one thing when we were on hiatus was that we wanted to raise our families. We’re all rock and roll dads. Keith has two children and the rest of us have three. And we wanted to be around and make sure we didn’t miss anything. And now they’re at the age where we can sneak away on a weekend. They have their own agendas. They’re either online or in high school and they have their own interests. MM: What do the kids think about you and the band? Do they kind of laugh about Dad’s old band or do they think it’s cool or what? AC: No, they laugh a lot. Because I was not active when they were born. They grew up with me playing guitars around the house. I’ve always stayed creative and my whole family on my mom’s side, we all pick and play. They’re all kind of like porch-pickers. They’re from down it the Delta in Mississippi. Until I was a teenager, I thought every family, that’s what you do when you got together. I thought you sat around the piano and guitars and all that stuff. When I was getting to be a teenager, all my friends would come over and they’d go, oh my God, they sound great. And I’m like, dude, they do that all the time. Let’s sneak off and go smoke a cigarette or something. Trying to get away. But my children, they’re super supportive and they’re all creative, it’s just in different ways. My son does digital editing and the other one is into graphic design and a couple of them are kind of into music. I’ve never forced them into it, but they’re picking up the guitar and the piano and all kinds of stuff. That’s the sweetest sound in the world, hearing them show each other stuff on their instruments. They’ll be jamming in the other room and I’ll be like this is awesome. It makes me very happy. MM: The new album was produced by Jeff Powell. Had you worked with him before? AC: Yeah, we did work with him. He was the assistant engineer on Wild America. We went with a guy named John Hampton and we also had a gentleman named Sir Arthur Payson that came in who had worked with Ratt and stuff. He did a couple of remixes. Like four or five of the songs on Wild America. But Jeff has been a dear friend of ours. When he was assistant engineer, he was the guy that we would stay in the studio overnight partying and listening to music. He was standing there, making sure we didn’t record over the masters. So, he’d go, here’s the volume knob and you can’t touch any other button on the board. We were in there just playing the songs over and over and listening to them. And we had our friends in there, having drinks and stuff. It was just awesome. But he’s been a real, dear friend for a long time. He was at Patrick’s benefit that I told you about back in 2016 and he actually reached out to me. He was traveling and he’d studied under the producer Tom Dowd. He’s very famous. He worked with everybody from Aretha Franklin to Allman Brothers. There’s an NPR show on him you should watch. But he passed away. He was a scientist. He worked on The Manhattan Project, but he did sound engineering. Our friend Jeff studied with him and learned a lot of his mic-ing techniques and all that kind of stuff. And he took that and all the stuff he’d learned from other producers and went off and became real famous himself. Or very successful himself. So, now he’s working at Sam Phillips’ studio in Memphis. He’s cutting straight to vinyl. He’s got a machine and everything there so you can cut straight to vinyl. So, he had reached out to me. He was in England visiting Abbey Road and wrote me and said, hey, would you guys be interested in coming to do two singles with me? He didn’t know we were talking to Frontiers. I said, you’re never gonna believe this – we want to do a whole record whenever you have time. So, we just had to get logistics together. Look at schedules. It was just such a fun project. It was like being there with family. He knows our sound. He grew up with us. And so we were super relaxed and we did a ton of pre-production before we went in the studio so we could be really efficient. Because we were kind of on a budget time-wise and money-wise. So, we did the whole record in about six days. We went in and cut basic tracks – two days for rhythm guitars, drums and bass – and then Keith and I did solos and singing for two days. And then mixed for two days and then we were done. It was kind of like the old days. Like the ’70s. It was fun. MM: I saw that all four members of the band are credited for writing all of the songs on the album. But I’m curious as to who writes what components of the songs. For example, does the whole band write the music together and then you as the frontman write all the lyrics? Or how does it break down? AC: We all contribute. Lyric-wise, Keith and I are the main writers on it. The majority of the time he and I are bouncing ideas off each other. Musically, we all contribute as far as like arrangements and stuff like that. And every song comes different. Sometimes it might be a guitar riff that Keith’s got, and we already have it arranged and everything, and bring it to the band to add their parts. And other times, it’ll be that somebody brings in a song title or whatever it is. We didn’t have all of the technology that we have now back in the day, so we had a bunch of threads going of song titles and album titles. Some of our songs were in different tunings this time and we would film our hands and show that to each other on videos when we were out on the road. We’d film each other and get the parts fixed. It was so fun, man. That part of the creative process was so exciting. Like Patrick, our bass player, brought the music for the title cut, “Bastards of Beale.” He had written the music himself and recorded it on his phone and just brought it in and it was already like a done piece of music. Then we sat down and started talking about what the [lyric] idea would be for the song. MM: I find it interesting that sometimes you start with a title. AC: Yeah, we do that sometimes. MM: I goof around – I wouldn’t call myself a songwriter – but I goof around and often times I’ll start with a title and I’m always asking people, how does the magic happen, and almost all the time they say it starts with a guitar riff. You’re the first person who’s ever told me that you’ve started songs with a title. AC: Oh, that’s funny. Yeah, sometimes it’s just an image or something. I think our stuff, lyrically and all that, we’ve had such a big break, and so many life experiences that have happened, so I had certain things that just stuck out to me. That “Rose of Jericho” song that we wrote, Keith and I – he came to Nashville and spent a day writing with me up here, just to get a change of scenery – and the original title of that was “Rock ‘N’ Roll Ain’t Dead Yet.” We were kind of talking about us, but the “Rose of Jericho” thing came up because we just had this flood of memories and experiences about being with the fans and stuff. It’s kind of like a character was created out of all these different hat tips of people that have crossed our paths. 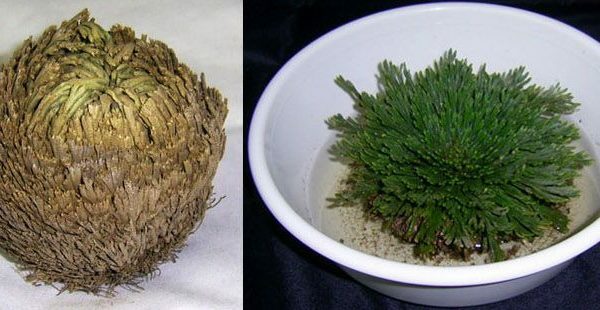 And the “Rose of Jericho” is a desert flower that when it’s dry and it’s not raining it dies and it gets blown all around the desert. And when it rains, it resurrects itself. MM: It’s the only immortal plant. AC: Right. And so we kind of felt like, man, that’s how our lifestyle and our life has been. Right now we’re kind of quenching the thirst that we had to go out and do it again. We have some things in our personal lives that we clue each other in on that we have fun laughing about. But, lyrically, every one of these songs I feel like was written by our fans and our experiences with them. Because we want to recognize them. All the way from the opening track, “Sons Of Zebedee,” it’s about community and culture and being included and belonging. As a human being, we all want that. Especially when we’re going to these things and experiencing festivals and concerts and all of that. When we’re there with a bunch of the people and we’re all doing this together. That’s how we started our band. We were from two different high schools. The bass player and I went to one and Keith and John went to another one. And we kind of had a built in audience that was following right away that was big compared to a lot of other people who were starting out with us. And they launched us. That was just that community. Everybody was included even though we didn’t get along all the time, or there were people who got into arguments and protected their turf, and all that kind of stuff. We were kids. That’s growing up, how it was. But we always remembered that and then I saw that firsthand here in Nashville. There are so many rockers that have moved here. There’s community. When the people play, you’ll go to the shows and you’re all there supporting each other. It’s just amazing. And music just brings people together. So, we kind of kept that theme all through the record. MM: One thing I’ve noticed about the album is that there seems to be recurring themes of faith and redemption and forgiveness. I’m not suggesting you were going through a crisis of faith when you wrote it, but were you going through a period where you were really thinking more about spiritual things? AC: Yeah. I think it’s always been present in my life. I grew up in the Delta, like I told you. I was raised Southern Baptist. Every Sunday and every Wednesday the church was open and I was there with my parents. And I don’t think that’s ever left. I mean, there is definitely a spiritual aspect to my music. I know it. And it’s beyond just a religious thing, how it effects me. I can’t even put it into words, but nothing makes me feel the way music does. If I’m talking to somebody in an elevator and a song starts playing on the radio, I’m listening to the tune in the background. That’s how it’s ingrained in me as far back as I can remember. My grandfather didn’t play but he loved music. And as far back as I can remember he was playing records by Mississippi John Hurt, and him and my uncle learned those riffs and he danced and sang and played. I don’t know, it’s just part of me. From that spiritual side, I think that may be a reflective thing in me, what you’re talking about. Just where I am. My children are getting bigger, and I’m kind of getting to a different place in my life, and I think that may have played in different aspects of it. 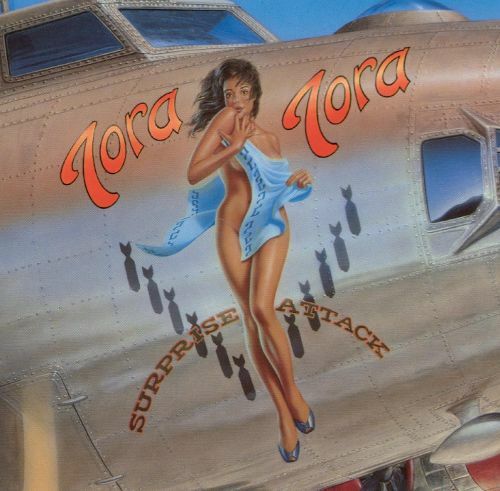 A classic from Tora Tora’s first album that still holds up today. AC: Oh, man. If you read into that, that’s definitely where I got it. There’s a definition of it, the sons of thunder, it’s in the lyric, about bringing the fire out of the sky. Some of the images of that just played [into it]. I’ve had that title for a really long time based on that sons of thunder thing. And I thought, this would be a great rock thing if I can find the right spot for it. And Keith and them sent me the music and I was like, oh man, I know what title I’m gonna use for this one. If I’m not mistaken, that was one of the first sets of rehearsal tapes they sent me. They would do some of the rehearsals without me and just learn the song and then send me something off their phone so I could just hear what the arrangements were gonna look like. We were like a bunch of little kids, listening to music and swapping every day. It was really fun. MM: You mentioned different tunings on the guitars. On the song “Vertigo,” there are parts that almost remind me of modern metal or even a bit of nu metal. Was that a newer influence that you were playing with on that one? AC: Yeah, I think so. And it’s funny, Keith and I kind of flip flopped. Most of the time I’m more of the hippie, acoustic guy. He’s the heavy metal dude. Our dynamic was like, are we gonna do a ballad or are we gonna try to blow your head off? He was laughing because I found some of these tunings on the acoustic and was playing around and then we put distortion on them and it was like, oh my God, this thing is like super heavy. Man, we all brought in different influences. Definitely. I think Keith and them have had newer influences on them, and for me, when we were talking about songwriting a minute ago, living in Nashville is so crazy because the songwriting here is incredible. It’s super eclectic like Memphis, but it has infrastructure. It has the labels and the publishing companies and all that is active here. And I’ve worked in different areas of the industry and the people that would walk in never even knew that I sang or played or anything. I was just a guy at the office, but I would be around all these songwriters all the time and listening to their demos and I know it had an influence on me on how I would like to improve my craft of songwriting and my imagery and visuals and all that kind of stuff. We did the instrumental of “Vertigo” for the U.S. but there’s actually an acoustic version of that that went to Japan. And it has lyrics and stuff on it. It was really fun. We did it really organic. Keith played acoustic. John – I guess I can say this – but he sat on like a Rubbermaid box and it almost had like a ramble on kind of just a beat A tapping beat behind the guitar, under that big riff. And I sang and we did it in one take. I had written it in the morning and we walked in and we said let’s just run it. We listened back and we said let’s just let it be what it was. MM: Frontiers kills me in that respect. I always like hearing the acoustic versions and stripped down versions of stuff and they always have their artists do those type of things as a Japanese bonus track. And those CDs are expensive. So, you’re basically paying 35 dollars for one song if you had already bought the regular album. AC: That’s true, man. I never thought of it like that, but that’s true. MM: Regarding “Bastards Of Beale,” I looked up Beale and learned that there’s a street by that name in downtown Memphis. Is that what you’re referring to? AC: Yeah, that’s it. We grew up there on Beale Street. The concept of the song is based on a book called Beale Street Dynasty and it talks about a guy named Robert Church. He was the first black millionaire in Memphis. And what happened is the yellow fever epidemic came through and he went in and bought the land that became Beale Street. It’s kind of like a tourist attraction. It’s like a bunch of neon lights and blues clubs. He was the gentleman that took over the street when it was just a dirt road and he brought W. C. Handy, the famous trumpet player, to Memphis and ended up writing “Beale Street Blues” and he generated a lot of income from it. Everything from starting businesses to running, I guess brothels and things like that. He’s got a really interesting story. Because he started out in a dark place. But a newspaper lady approached him and said that she would like for him to help the community. And he ended up contributing a lot of money around to help the community. It’s a real cool story. We kind of do a hat tip towards [that]. We feel like Memphis has touched the world. Not only from the blues but through Elvis, birthplace of rock ‘n’ roll, and also through Stax, one of the biggest labels. It was one of the biggest industry corporations. It was competing with Motown, as far generating money and jobs for the south. A lot of people were moving there and working for the company. And then we had the rock things that were there in the ’70s and ’80s and all the way up into hip-hop now, it’s still touching the world. Whatever you want to get, Beale Street has touched it in some form or fashion. It’s like a regular river city. It’s kind of transient. Rural people are coming there to find a better place for themselves, finding more success and making some revenue. It’s a different world if you go outside of Memphis, out into the rural areas. I’m kind of in a bubble up here in Nashville with a growing, thriving scene. I mean, they have 100 families moving here a day. They can’t build apartments quick enough to put people in them. Down in Mississippi and stuff, there are people having trouble having the basic necessities. Memphis was always a place that offered hope to people. And then I could go there and find a better life for myself, so I kind of integrated all that in. MM: Do you have a personal Beale Street story you could share with us? AC: Oh, yeah, man, definitely. 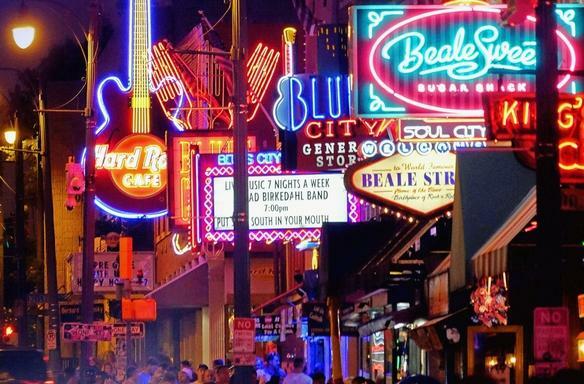 One of my favorite things to do – if I went on the road – I would go to Beale Street. I loved it. I would go to B.B. King’s. There was a band called The Famous Unknowns that played Sunday and Monday nights. The lead singer’s name was Mark Sallings. He played sax and harmonica. He was incredible. I don’t know if you’ve ever heard the song “Mississippi Voodoo Child,” but he was the harmonica player. He was on Beale Street. But my favorite thing was a place called Rum Boogie Cafe. It’s at Fourth and Beale. It’s right on the corner. It’s been there forever. I would go in there. There’s a singer named James Govan. He started out he was a drummer. A skinny black guy and he wore a captain’s hat on his head. He was the best. This dude would sing Al Green and Otis Redding songs and he would have women swooning all over him. He would throw beads out from the stage every night like you’re at Mardi Gras. He just made a fun party. He had a horn section, a B3 player. It was a full band. I just remember looking up to him. I would come around the corner and he’d be sitting in a booth and there would be four or five girls sitting with him and he’d be smoking a menthol cigarette and having a shot of something. And I’d just sit and talk to him about songs. He’d let me get up and sing with the band sometimes. And I was probably 22 or early 20s. I would always go and talk to him. So, that’s one of my favorite memories and what’s so crazy about it is right next door to Rum Boogie is a blues hall. It’s called Handy’s Blues Hall and that’s where I shot the “Walkin’ Shoes” video, the first video that we ever shot. I’m telling you that because coming up is a new single from us called “Son Of A Prodigal Son” and we actually went back to that room and shot the video. MM: I was wondering if there were any new videos coming out. AC: Yeah. It’s really cool. We kind of did full circle. We went back to that spot. We shot there and then we shot a little bit in Sam Phillips’ studio in a second floor room there. I had my sons with me when we went to shoot the video. And this was a couple weeks ago and I told them, man, the last time I was in here to do music I was your age. To shoot a video. It was just blowing me away. I was like, man, I was a little kid, you know? It was great. MM: Who did the cover art for the new album? AC: There is a friend of mine here in Nashville named Dean Tomasek and he’s an artist. He does murals. He does all kinds of concert posters and album art all the time. He played in a band called The Valentine Saloon. I don’t know if you remember them. They were out in the late ’80s. He was the bass player for them. Anyway, I’ve met him and reconnected with him up here in Nashville and he sent us some ideas for artwork, some concepts and stuff, and we loved it. We thought it was very cool. And it was something different for us. We’d never done any kind of cover like that before. It was a lot of fun. He does great work. So, if anybody ever needs any they should reach out to him. MM: You finally put out your unreleased ’94 album Revolution Day in 2011. Is the version that you released the version that would’ve been released before the record label baloney? Or did you have to re-record it? AC: No, we didn’t re-record it. We couldn’t use the masters that we turned into A&M, but we had access to the demos that we had recorded. A lot of times we did what they do at demo sessions in Nashville – we did that stuff when we were working for A&M – so these were pre-mastered recordings. Somebody somewhere had put a version of the record out online and it was the wrong speed. I think it was too fast. You could tell. The sound was really bad. So, we said if it’s gonna be floating around we should do due diligence and go back and find some of the recordings. We’re pretty happy with it. When you look at the overall record and everything, that was a hard record because we worked on it for a really long time and it never came out. The A&R guy that had signed us had had a tremendous amount of success and another company had offered him a position. In retrospect now, looking back, we didn’t realize this then but we were in survival mode. Just for us personally, the band. It’s kind of like you lose your voice in the corporate thing when somebody moves on. Even though it gets passed on to somebody else they’re not personally invested in the work. And I don’t mean that being ugly to whoever the rep was that came in next, but we just kind of realized really fast [laughs] when that happened. We were like, get everybody we can and get them in the studio right now and record. The Memphis Horns came back and Susan Marshall came and all that stuff. MM: Will we see Tora Tora touring anytime soon? AC: Yes. We’re coming out. We’re doing Monsters of Rock in about two weeks. We’ll be on that then we go to Rocklanta. It’s a two day festival, the 29th and 30th, and we’re there March 30th. Then we’re headed to Chicago then we head to the M3 Concert in the western Baltimore area. Then we go out to Colorado to do Wolfpack Productions out there. I think that’s gonna be a club date so that will be really fun. It’s been a while since we’ve been out there, but we’re booking. We’re getting messages on all of our social media. 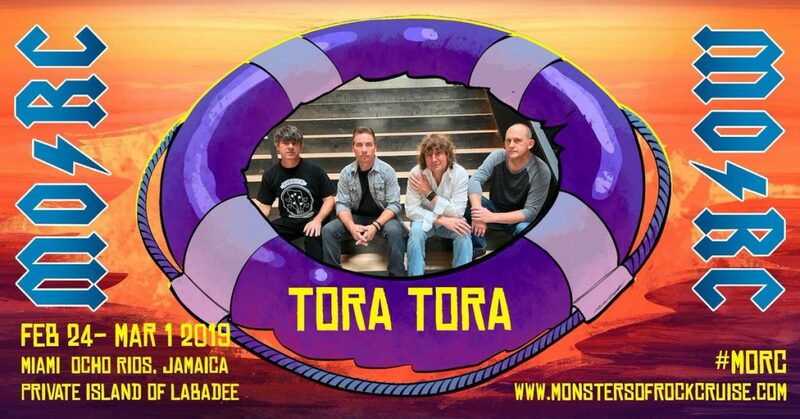 If you want to contact us, go to ToraToraMusic.com and you can get in touch with us there on our contact page or on any of our social media. @toratoraband. 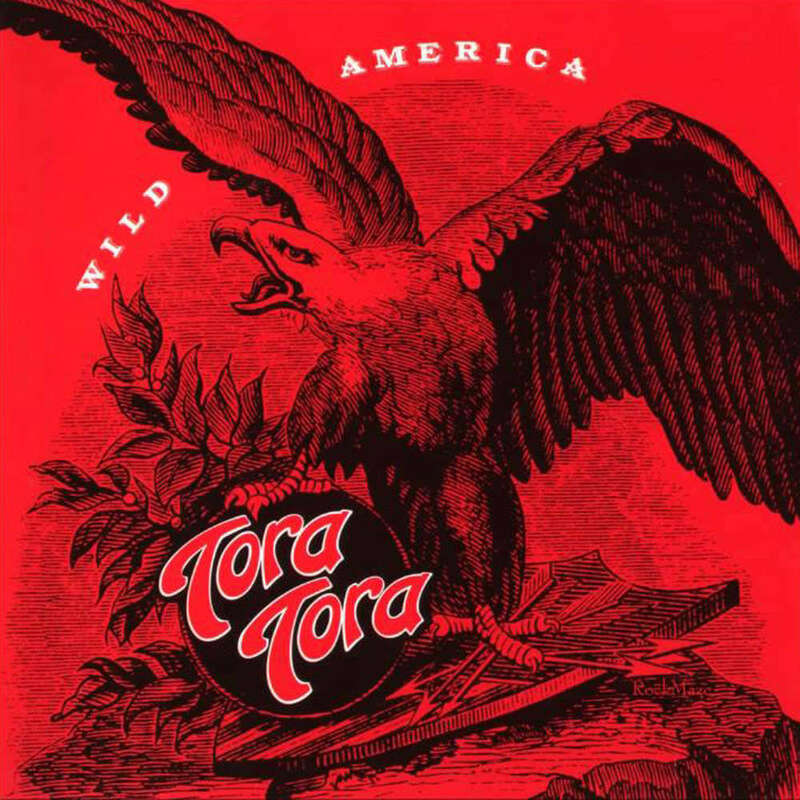 MM: What’s the Tora Tora set list going to look like in 2019? 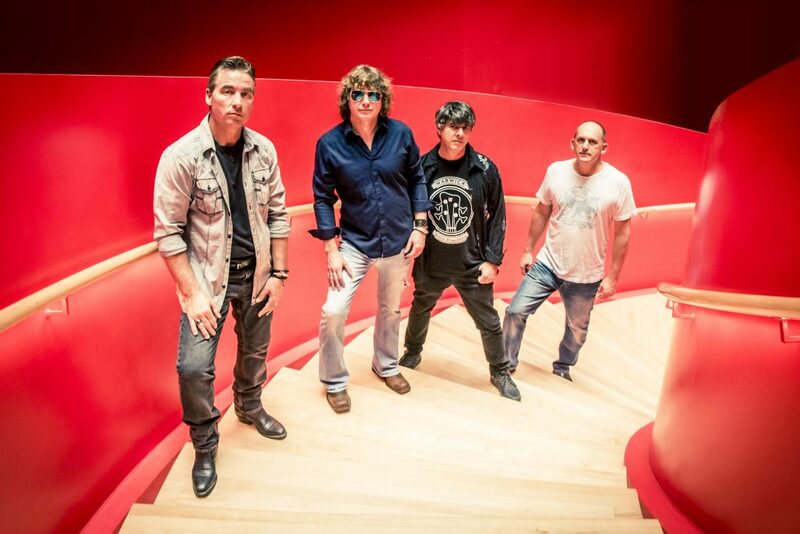 AC: We keep the songs from our former albums, “Walkin’ Shoes,” “Guilty,” “Amnesia,” those are kind of mainstays. But we’ve been shifting around a little bit. We’re playing two or three of the new ones. We did “Sons of Zebedee.” We did “Giants Fall” and “Rose of Jericho.” We just played Memphis right before New Year’s – the 29th – and kind of had an album listening party for that. But we mix it. We do the songs that are familiar but we want to do some new stuff. I’m sure we’re gonna throw in a couple of new ones here and there. Just keep it fresh for them. MM: Before I get to random questions, which we always ask at the end of our interviews, I wanted to ask if you’ve done any songwriting for or with other people where you’re out there in the songwriting capital of the world in Nashville? AC: Honestly, I’m writing stuff just for me. Just kind of artist stuff. But the one thing I will tell you is I was talking about being in publishing before and I would hear the people in another room tune their guitar and stuff and I was just like, I know how to do that whether they realize it or not. I was kind of in a business capacity for the company. But there was one guy in particular who was an older writer. He’d had two record deals. He was a little bit closer to my age. And I had talked to him and he kind of had similar experiences that were pretty wild when we were younger. I had to be careful because of a conflict of interests when I was talking to people at work and stuff, but I just said, hey, has anybody ever talked to you about the craft of writing? There’s definitely an art to this thing. Especially in the country world. They want you to write their life story back to them and you’ve gotta hook them in and stuff. And he said no and I said, I want to take you to lunch. So, we ended up talking to each other and he said, I want to write a song with you. And so I ended up going out to a ranch outside of Nashville and I told him I’d bring some paperwork from work so it would be a business meeting, but I took my guitar in the car, too, and once we got done with business we got the guitars out and started picking. And I ended up writing three or four songs with him. And I loved it. It was such a different perspective. A different way of writing. He was a great singer, too. He sang melodies and stuff. MM: What’s one question that you are always wishing interviewers would ask you but they never do and how would you answer it? AC: Oh, wow, that’s a really hard question. What question would I want you to ask me? Every one I’m thinking of I’ve been asked over the past week. One I wish you’d ask me [about] are my favorite songs that never got released. MM: Well, tell us about some of those. AC: It’s “Nowhere To Go But Down.” It’s on Wild America. I wished that song came out [as a single] because that song was a really good representation of our band at the time. I actually thought it would be a single, but the course of the record ended up being cut short to go back in the studio. We loved it. We wrote it with a guy named Sam Lynch, who was the drummer for Tom Petty and The Heartbreakers. We actually wrote three or four songs. “Dead Man’s Hand,” that one, “Rescue Me” and “As Time Goes By.” He was a lot of fun. MM: What are three albums you cling to like oxygen when you’re depressed and why? AC: Oh, man. This is a good one. 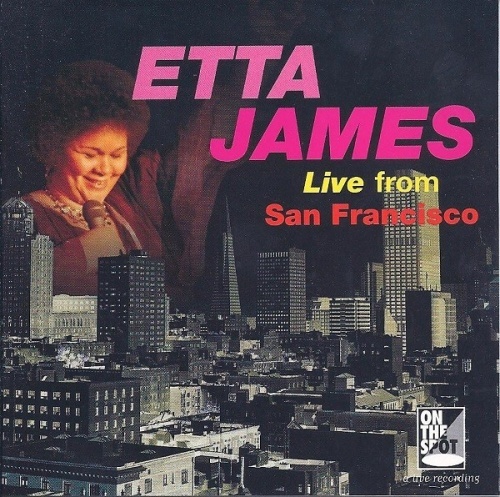 OK, Etta James’ Live From San Francisco. Believe it or not, that’s one of them. Probably Kiss Alive I. That’s one that influenced me the most in the rock world and Mississippi John Hurt’s Greatest Hits. That was definitely a family influence. MM: Do they more so cheer you up or are they more so albums that you can relate to when you’re feeling down? AC: I think each one of them serves a different place. The John Hurt thing comes on, I can smell coffee and my grandad. That’s a real take me home kind of record. I mean, it’s fun. They used to do country dances and stuff. He’s got a really unique picking style that kind of moves the music. For Kiss, that gets me through whatever. I thought I was gonna be Peter Criss when I was growing up. I thought I was in the Coliseum with them. So, that one brings back a lot of great memories. “Let Me Go Rock ‘N’ Roll,” “Nothing to Lose,” all those records. I was six or seven years old listening to those cuts. Etta James is a writer and live person. I love her voice. She does a version of “Take It To The Limit,” if you’ve never listened to this record, just go look that up. The power of her voice. It’s a totally different version than The Eagles’. She gets down on it, man, it’s good. But she’s someone I listened to a lot of late nights as I got older. Late nights coming in from honky tonking and playing gigs and stuff. She would be a companion late at night. MM: When was the last time you went to a record store and what did you buy? AC: Last time I went was probably with my son. I think he got The Lemon Twigs. We went and saw them in concert. That was the last one that I bought. Actually, my children are buying vinyl more than me. We got them some turntables and stuff for Christmas. My son got a bunch of Beatles’ records for Christmas. And David Bowie. Childish Gambino. They got a bunch of new stuff for Christmas. MM: If you could resurrect any one musician from the dead and they’d be happy to be back, who would you bring back and why? 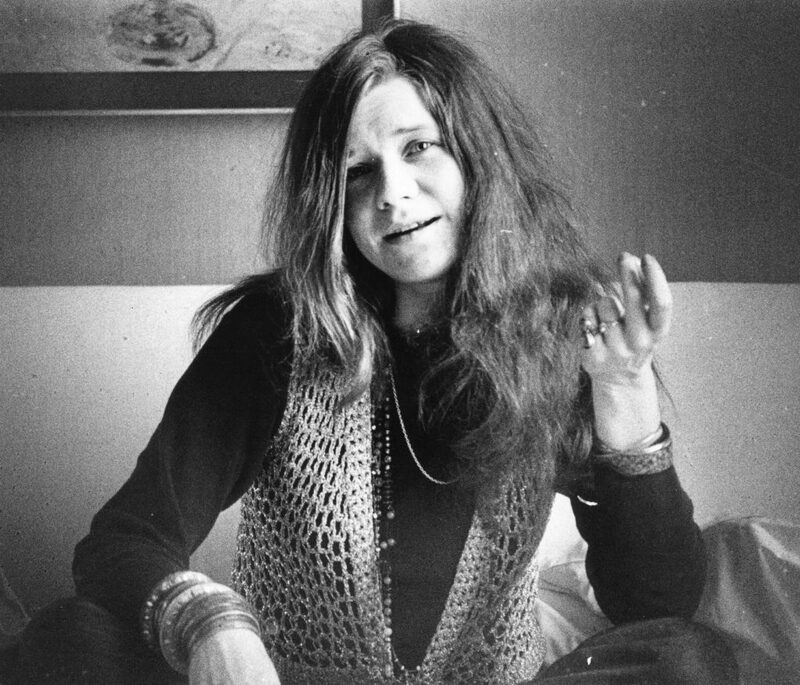 AC: On a personal note, just from a selfish place, probably Janis Joplin. I loved her voice growing up. That’s kind of a tie. I’d want her to come back but I also wish Bonham would’ve made it. I would’ve loved to see what Led Zeppelin would’ve ended up doing. MM: Final question. If someone was giving you a million dollars to go to charity and it all had to go to the same charity or cause, which would you give it to? AC: Dang. Oh, man, this is hard. I lost my father-in-law to cancer in 2010 and he was really close in my heart. But I think right now on a personal note it would be macular degeneration. My Dad is experiencing that now and it’s kind of scary. Probably that one. Special thanks to Anthony for getting in-depth with us and to Jon Freeman for setting it up!